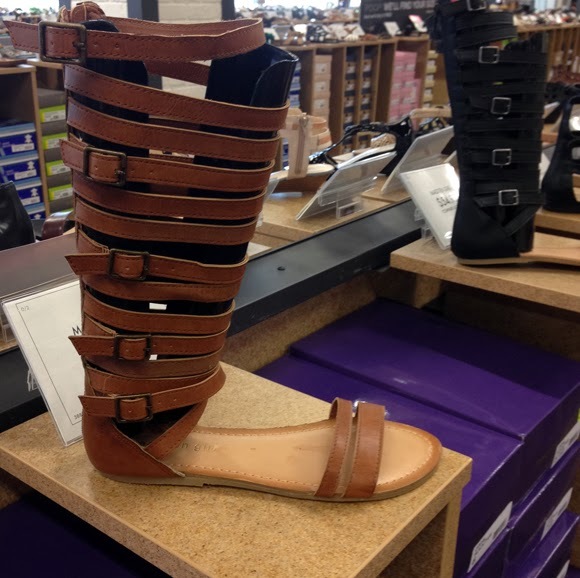 The gladiator is having another fashion moment, ladies. Yes, it lives on! If you want to partake, I recommend doing it for less at DSW 34th Street. 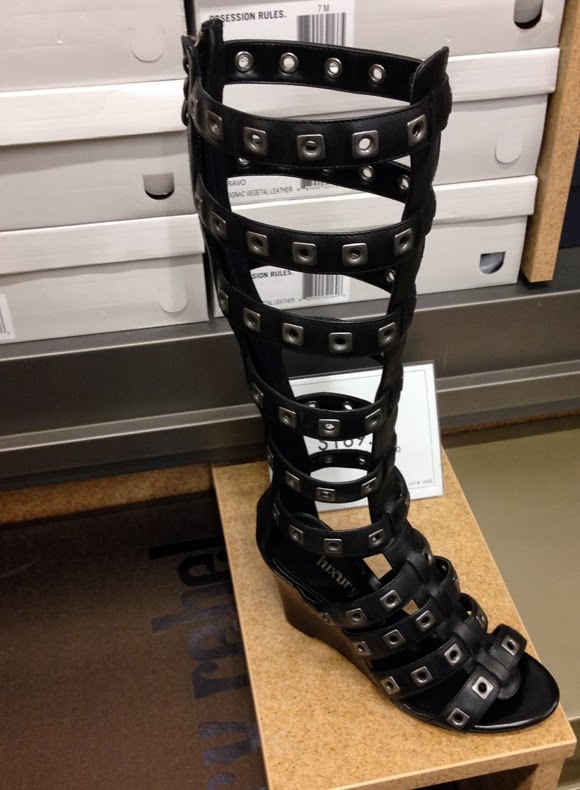 Luxury Rebel, $169.95, was $190. Madden Girl, $54.95, regularly $79, available in brown and black. these things look like that thing Bates bought to correct his leg which he eventually tossed into the lake.